The Future of Supply Chain Management is Here. "The challenges to supply chain management as a core business function have opened the door for Supply-Chain-as-a-Service to fill the gap. On-premise SCM solutions will go out of style as companies turn to SCaaS for a more sustainable and effective way to manage their supply and demand networks." Simply put, let us handle your supply chain in its entirety and stand back and watch the results. In today's ever-increasing complexity, supply chain management is becoming more difficult and more expensive. What started as a simple need to deliver product has developed into an industry that requires its own set of complex tools and expertise. That's where Legacy comes in: Let our expertise, our tools and our industry knowledge help keep you focused on your core business. As it no doubt sounds, a transition from premise SCM to Supply-Chain-as-a-Service is unique to every company. To get started, we'll meet with you and learn your current system and develop a transition plan that will enable you to maintain minimal disruption. From start to finish, the plan will be customized to your needs, your time frame and your customers. 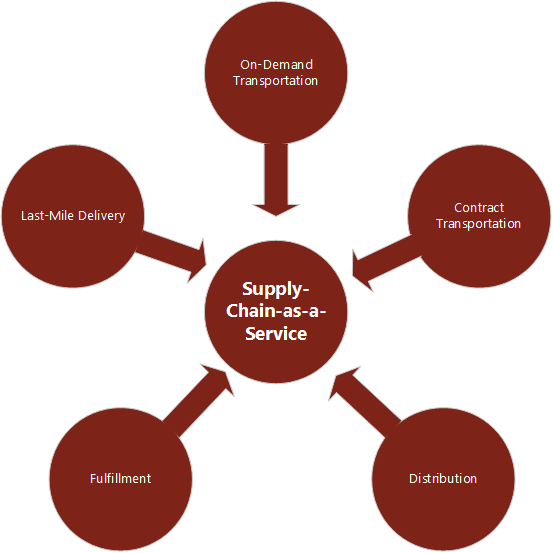 What is On-Demand Logistics? Who uses it and for what? Find out this and more in this video.